Your favorite ship from Star Trek: The Original Series is now an easy to assemble, snap-fit model kit! The Star Trek: The Original Series U.S.S. Enterprise NCC-1701 Model Kit is pre-painted, so no messy paint or glue is needed! 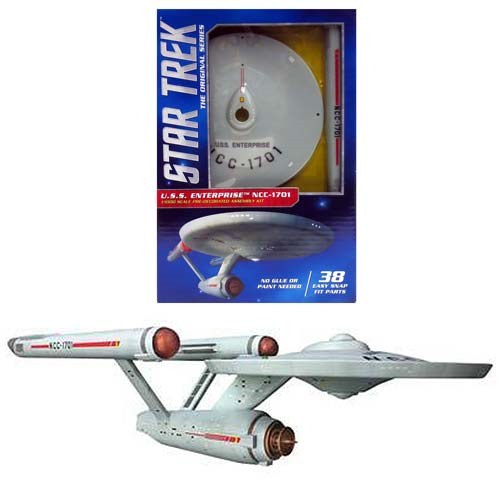 Kit includes 38 pieces total and once it is fully assembled, the Enterprise measures 11 1/2-inches long! Display Base is included. Ages 8 and up.